Welcome to the Rankin County Chamber! Click here for information regarding our Connectors' Committee, the Connector of the Month, and how you can get involved. Stay up-to-date with Chamber events, county happenings, and receive business benefits by becoming a Rankin Chamber Member! The Rankin Chamber hosts both an adult leadership program and a youth leadership program. Check them out! 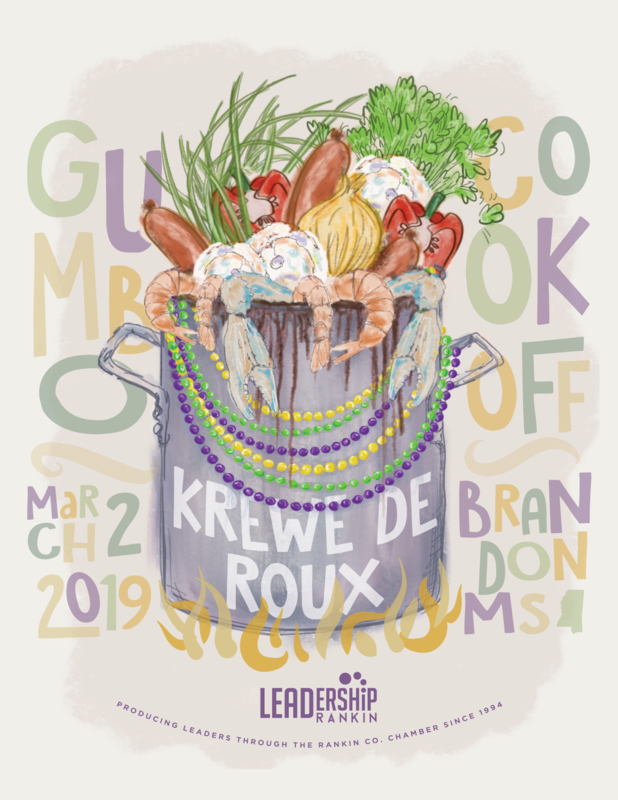 The Rankin County Chamber Leadership Class of 2018-2019 is excited to announce the Inaugural “Krewe de Roux” Mardi Gras Parade and Block Party and Gumbo Festival. To kick off the weekend’s festivities, the Mardi Gras Parade and Block Party will be held on Friday, March 1st in Downtown Brandon, followed by the Gumbo Festival on Saturday, March 2nd at the beautiful Brandon Amphitheater. This event is being held to support the Chamber Youth Leadership program, which has been and continues to develop young leaders from all schools in Rankin County for over 20 years.